This is Breaking news for many table tennis fans around the world. Yes! “Liu Guoliang is back!” He is no doubt the “head” of China Team! Without him, China can’t achieve such a huge success as today. Liu Guoliang is the genius coach (very strong at tactics, and players personality activation). In June 2017, Liu Guoliang is “fired” from the Chinese National Team head coach position. (It could be due to the political reason behind). I’ve explained it in this video. Then in July 2017, Ma Long, Xu Xin, and Fan Zhendong have made the scandal. They made the protest and forfeited in the China Open 2017. They want to protect their beloved coach “Liu Guoliang”. This is the first time in the table tennis history, that such a thing happens. Professional players protest to fight the politics. 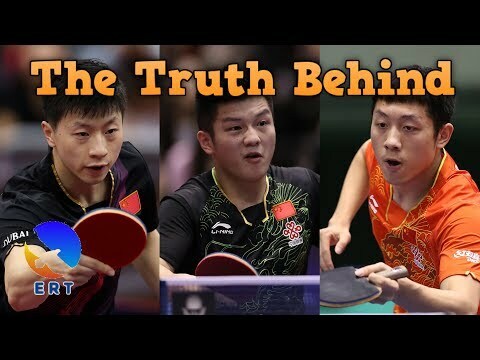 Both these 3 trios (Ma Long, Xu Xin, Fan Zhendong) got the sanctions from ITTF for this forfeit. 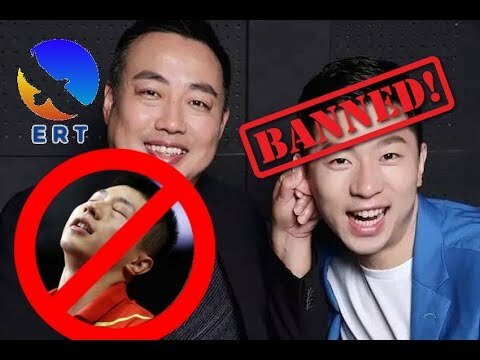 Ma Long is also could be “banned” due to his reactions. Right after the removal of Liu Guoliang, Chinese National Men’s Team has encountered many problems. The performance of the top players has gone up and down. They made more defeats in the international competitions. China Team has lost all in the German Open 2017! Fan Zhendong lost to Harimoto Tomokazu, Ma Long lost too. Zhang Jike wants to retire. Chinese young generations cannot keep up with the current generation. Yes, many problems since the depart of the Head Coach. However, things have changed. To prepare for the Tokyo 2020, the most important event for China’s sport. The “big boss” need to think again. China is preparing to secure the medals in the Olympics 2020. Liu Guoliang is back because China wants to win Tokyo 2020 table tennis! China has formed a group dedicated to the success. And Liu Guoliang is the leader! Support to Liu Guoliang, there are also Lei Jun, Liu Yi, Liu Wei, Wang Liqin, Zhang Lei and Qin Zhiwei who will also join the group. So coach Liu Guoliang is back to China National Team after 15 months of absence. China Table Tennis Association (CTTA) announced on Sep 27 that a special workgroup in preparation for 2020 Tokyo Olympic Games is formed. Coach Liu Guoliang is the director of the group and also in charge of CTTA. Other group members include Coach Qin Zhijian, Zhang Lei, Wang Liqin and so on. I will work together with China National Team for Tokyo Olympic Games. 666 days to go. MaLong Family Fans Club (龙腾家族-球迷会) has been rooting for Ma Long (Table Tennis) since 2005 and will continue to support him as a great player, a great captain of China National Team and a great role model of his fans. We hope you enjoy learning more about Ma Long on and off the court. From May 21 to Oct 20, 2017, we are raising funds for sending table tennis tables to schools and institutes in need, to celebrate Ma Long’s 29th birthday. On May 21 alone, we have raised enough money for two schools. amazing news for ping pong lovers. China team will get Golds medal with coach Liu.